Top Fuel Motorcycle legend Larry “Spiderman” McBride has amassed 10 championships and numerous world records throughout his illustrious 33-year career. The Spiderman has achieved the vast majority of his success on his current drag bike – a 1,511 c.c., supercharged Puma that McBride has been competing on since 1994. Over the years the motorcycle has been branded as both a Kawasaki and a Suzuki depending on which manufacturer offered contingency money at the time. It was on this iconic machine that McBride became the first rider to record a five second pass in 1999. In 2008, McBride established the current world record at 5.79. Unofficially, McBride has been as quick as 5.74, and now, in what is likely to be his final season racing this motorcycle, McBride is aiming for 5.60s. McBride's new Top Fuel Motorcycle will include several updates. 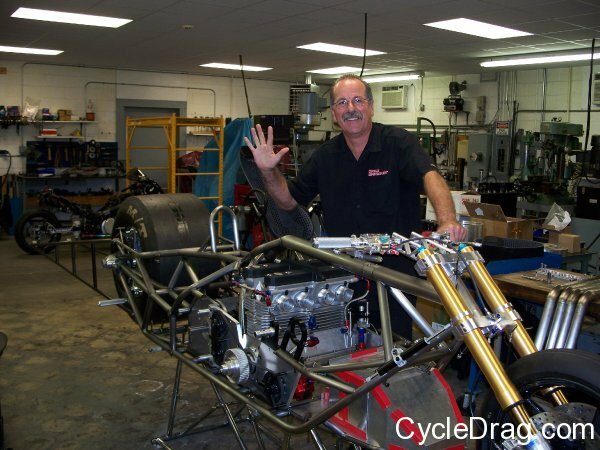 McBride is in the process of assembling a new, state-of-the-art Top Fuel bike he hopes to debut this summer and compete on next season. The new motorcycle will feature an adjustable 104 to 108-inch wheelbase. The total length of the new motorcycle, from the tip of the front tire to the end of the wheelie bars, will be over a foot longer than McBride’s existing ride, at 18.8 feet. The bodywork, which McBride is currently waiting on, will also be slightly different. As for the old bike, McBride plans to showcase it somewhere when he retires it. McBride's iconic, record-holding motorcycle will likely end up in a museum. Along with working on both of his Top Fuel bikes, McBride has had a busy off-season scheduling for 2011, setting up appearances, match races and testing dates. The 10-time champ plans to attend the upcoming Dealer Expo in Indianapolis, Ind., Fed 18-20, where he will sign autographs at the Web-Cam booth. McBride also plans to display his motorcycle in Daytona, Fla., during Speedweek. “I think it will be a great opportunity to promote Top Fuel Motorcycle racing,” McBride said of his upcoming trip to the Sunshine State. Along with both Manufacturers Cup races, McBride plans to participate in the Norwalk Night of Fire and possibly some ADRL events. McBride says there are several other potential match race dates, but nothing set in stone at this time. 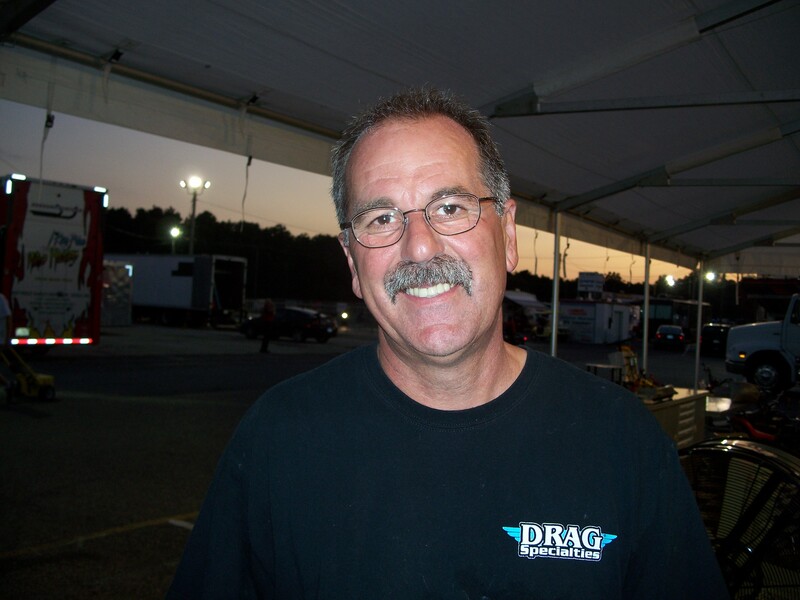 McBride thanked; Pingel Enterprise, Drag Specialties-Parts Unlimited, Red Line Synthetic Oil Corporation, K&N Air Filters and Web-Cam as well as his other sponsors. Trim-Tex Drywall Products, Vance & Hines Motorsports, PR Factory Store, Muzzys Performance, Ferrea Valves, Kibblewhite, Precision Machine, World Wide Bearings, Vanson Leathers, Performance Machine, Belt Drives Ltd, Street & Competition, Simpson Race Products, Nitrous Express, APE, EK Chain, Arias Pistons, R/D Spring Corp, Autolite, MSD, Protect ALL, Whipple Industries, Cometic Gaskets, B&J Transmission, Carolina Cycle, L.A. Sleeve, PJ1, Mickey Thompson Tires, Valco, Goodridge, Carlisle Belts and Gates Belts. Larry glad to call you my “friend” on facebook. Have loved watching you race for about the last 25 yrs or so. You are a legend and in inspiration for all of us, who hope to one day be half as good as you!! You are the John force of motorcycle racing, of course i know you would want some of the credit to go to the “Don Garlits” of motorcycle racing as well. Elmer Trett. He i am sure is in heaven lookin down going “Git it son”!! Whatever you do with the bike will be the right thing!! Cannot wait to see the new one!